There’s a new Sulu raceline in Sea of Fables. Samlara Vintner and Slanty Uriza advocated for one near the “Three Pines – Come Sail With Us” resource center in Owasco, and the new line in Sulu seems to fit the bill. 🙂 The line is intentionally short (40m) for small boat races, and it has a 45 degree orientation, facing Southwest. 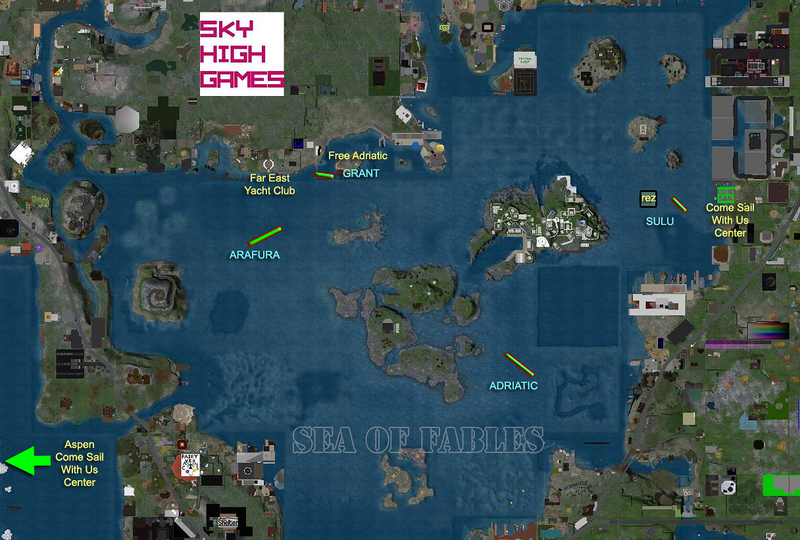 Sailors can rez boats nearby, either at the Sailing Center or in a Sulu rez zone just West of the line. The rez parcel has a green-yellow buoy in the middle. One small detail: In order to install the line it was necessary to pull two yellow buoys that formed a race ‘gate.’ This should not be an inconvenience though, since the new raceline can also serve as a gate, and it has roughly the same orientation and dimensions. 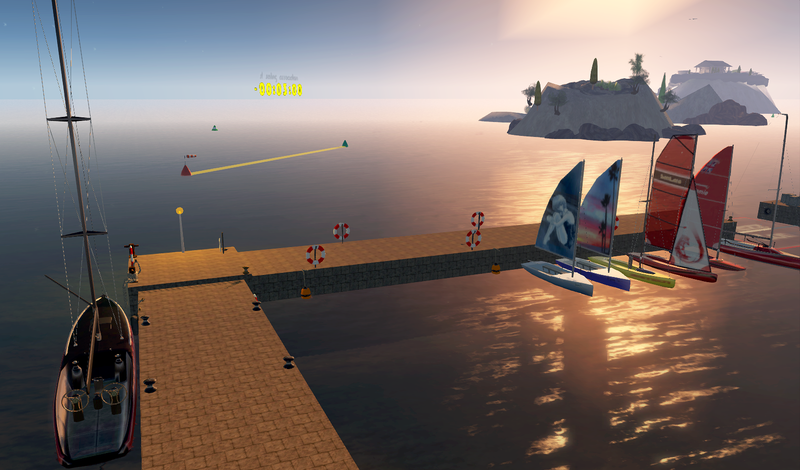 This entry was posted in announcement, Sailing Skills, Sansara. Bookmark the permalink.